their high schools because they died young. life in a quaint Michigan town complete with jocks, popular girls and cliques. life, he starred in some superhero movie. no one knows how long you’ll stay in this realm or what’s next. Walker Callaghan has just arrived at the Academy after a tragic car accident. “Is this heaven or is this high school?” she asks. this place. He’s looking for a portal to return back to the living realm. nose-first into a cornfield on Christmas Eve. 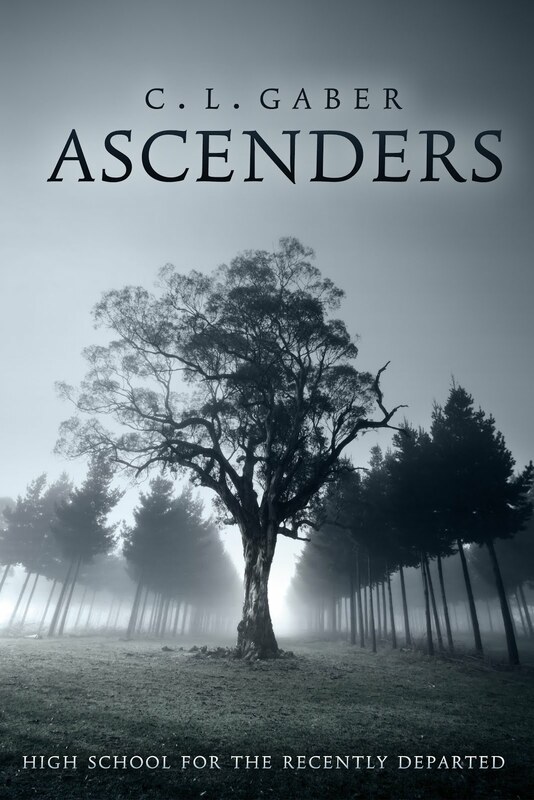 Reading the Blurb of “Ascenders: High School for the Recently Departed” (Ascenders #1) by C.L. Gaber is something I would actually suggest NOT TO do. Because this is one of those paranormal romance books that is best enjoyed without any knowledge of the content in advance and there is far to much information in that text. Which leaves me with not much else to say to avoid any further spoilers.But I guess writing this in a review does not make much sense as the review is usually read after the Blurb. Anyway after I read about the storyline of this book I had this picture of “Dead like me” in my mind which would not leave me throughout the whole book. I loved that series and once my mind made this connection it was not hard to really like that book too. It is well written, has a good developed plot and deserves your attention in case you are a fan of paranormal YA Novels.